Are you sick of carrying too many cables for your iPhone and Android phones just because they have different ports to charge? 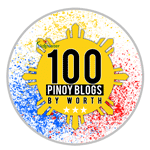 Are you also tired of the super slow transfer rate of your files or slow charging speed just because your cable doesn't support those features? 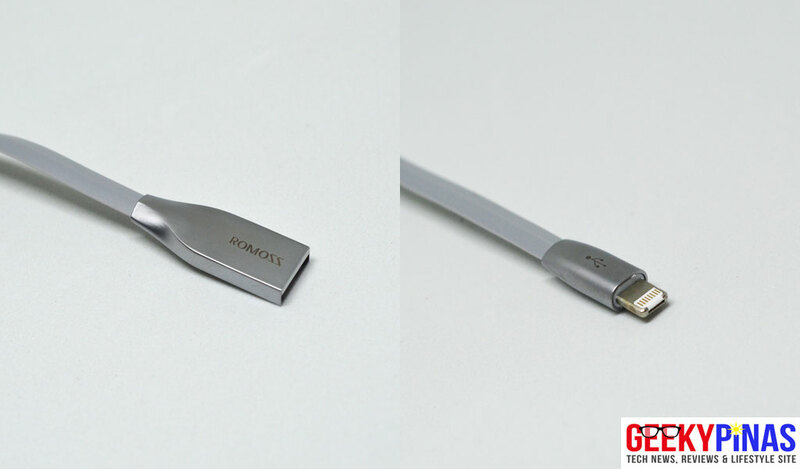 We are about to present a new product from ROMOSS which is called the RoLink Hybrid Cable that both supports most iOS and Android devices. This would lessen or minimize the count of cables you carry during travel and at home or work. While there have been existing 2-in-1 cables in a few years now, this cable is a whole much better and practical than the old cables that ever existed. The Rolink Hybrid Cable comes with a USB Type-A connector on one end and a new dual connector at the other end which includes micro-USB and Lightning port. The cable has a length of 1M and uses all copper for materials which are best for better conductivity and has an alloy casing for each connector at the end. It also uses an eco-friendly TPE material. The design is flat as it makes the cable tangle free, easier to fold and carry everywhere. It also has a very good build and unique design. 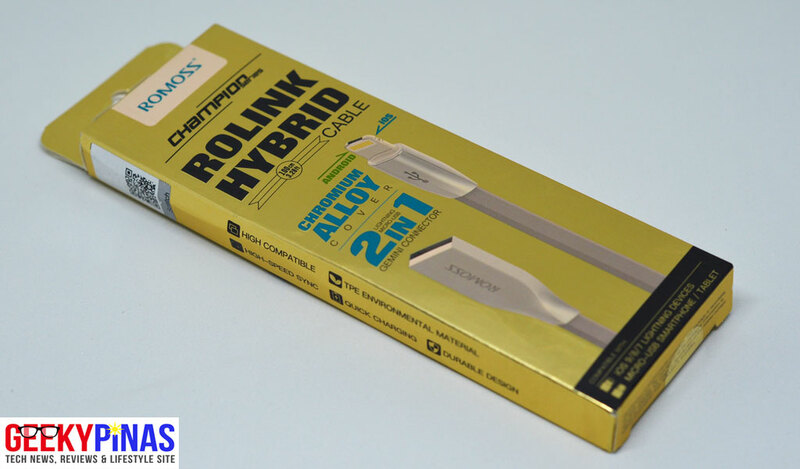 The ROMOSS RoLink Hybrid Cable is 1M in length. 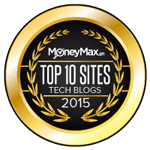 The ROMOSS RoLink Hybrid Cable supports fast charging (up to 2.1) and other charging formats such as Qualcomm’s QuickCharge, Samsung’s Adaptive Fast Charging, Mediatek’s Pump Express and other more. The data transfer speeds are also good. 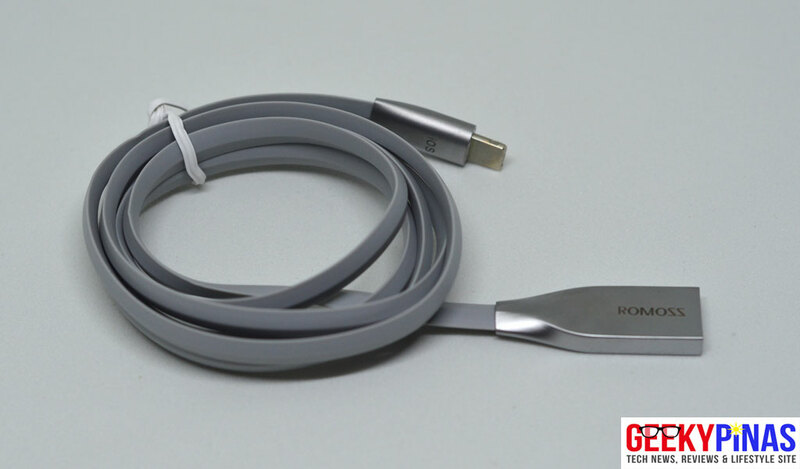 Unprecedented design, lightning 8-pin, and Micro USB are fused together, one cable for two different devices. One side for lightning 8pin, one side for Micro USB. 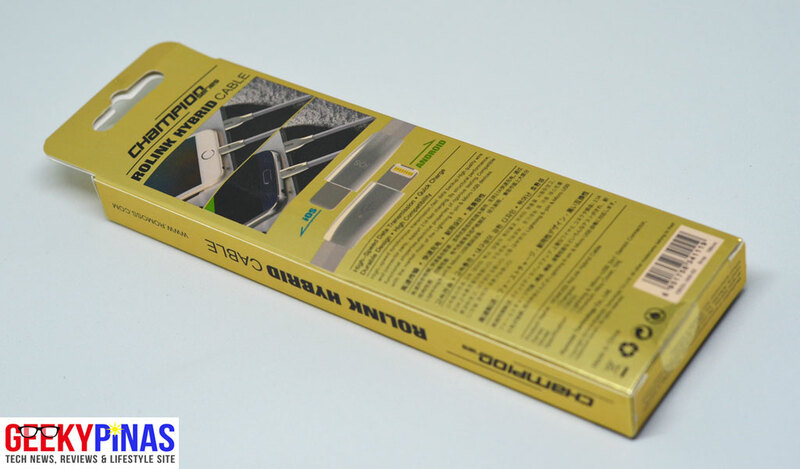 Chrome alloy shell to make it sturdy and durable. Integrally formed USB plug, unique design, fashion appearance. 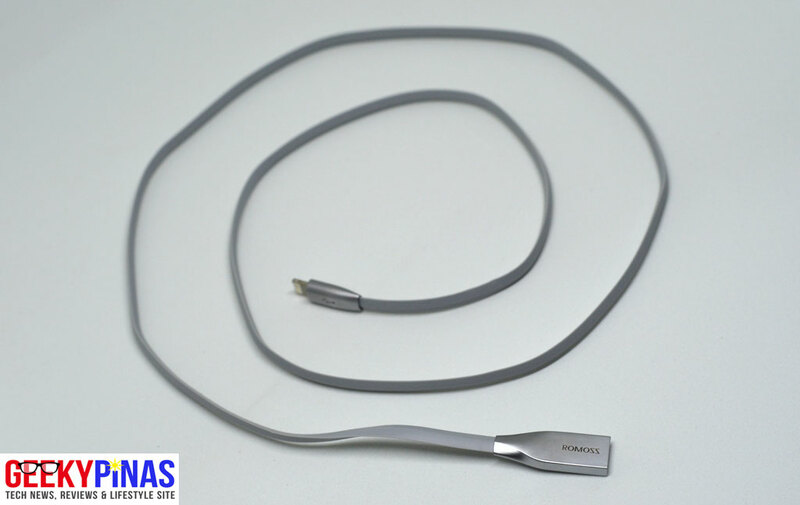 Rhombic TPE cable, soft, durable, not winding. Pure copper wire, provides 2.1A fast charging. 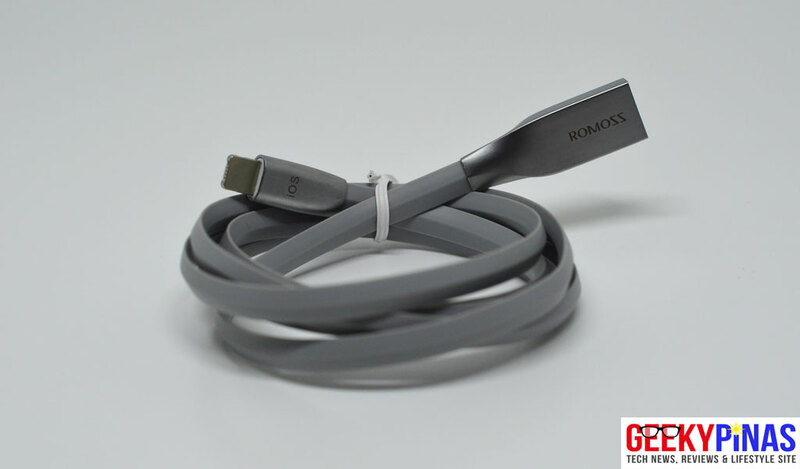 The ROMOSS RoLink Hybrid cable is a must have for iOS and Android users as it will not only lessen the cables that you carry, it is also a pretty fast standard cable for your phones or devices. The only downside we see is that only one side is applicable for the Lightning port as the other side is used for the micro-USB port. 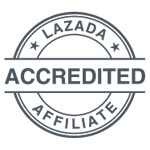 You can purchase one via Lazada here for only Php681.19 or check out the product in ROMOSS' official website. Lightning port will only work on one side.